3pp Toe Loops (TM) are designed to treat overlapping toes, hammer toes, crooked toes, and broken toes. 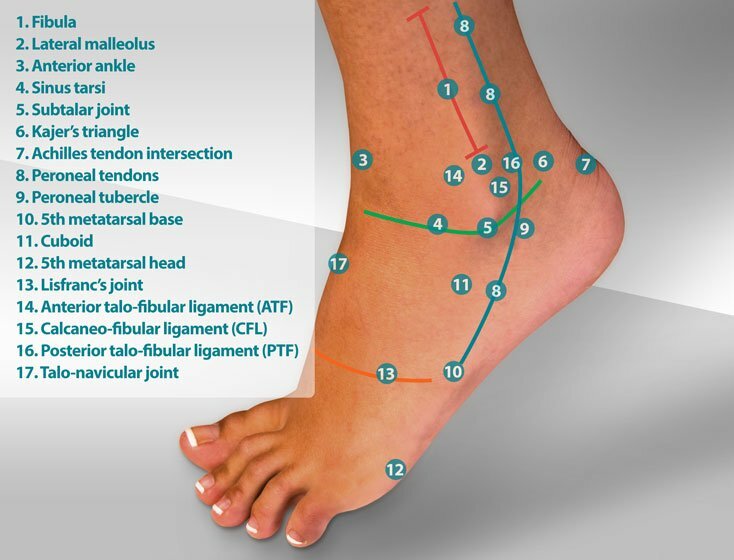 Align your injured toe by gently splinting two of your toes together safely and comfortably. Universal right/left. Available in two sizes. By 3-Point Products. 3/pkg. 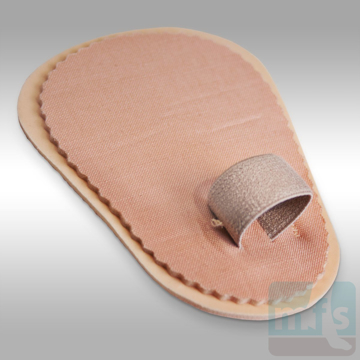 Co-Flex Bandage is a self-adherent compression bandage used to wrap injured toes. Great for wrapping broken toes, applying to toes as a buddy-splint, or limiting swelling after surgery. By Andover. Universal right/left. 2 rolls/pkg. Foam Toe Correctors gently brace toes by buddy-splinting them together with an adjustable Velcro loop. Recommended for protecting corns, supporting broken or fractured toes, and for use after hammertoe surgery. By PediFix. One size fits all. Universal right/left. 2/pkg. Toe Cushions are made of soft foam and worn comfortably between the toes to help align and separate overlapping toes, relieve pressure on sore corns and calluses, and reduce friction between toes. By Myfootshop.com. 2/pkg. Gel Toe Correctors treat hammer toes, broken toes, and overlapping toes by gently re-aligning and creating space between them. Made of soft, durable, medical-grade silicone that acts as a splint for your damaged toes, the double-loop design keeps the gel spacer in place. By Myfootshop.com 2/pkg. 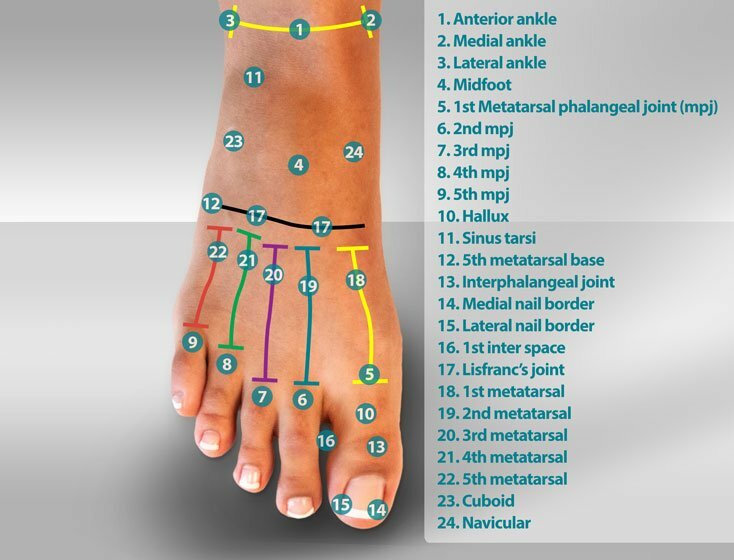 The Toe Straightener - Single Toe aligns overlapping toes, crooked toes, hammertoes, claw toes, mallet toes, and fractured toes. The adjustable elastic loop applies a constant, gentle pressure to the toe, pulling it back into place comfortably. Latex-free. One size. Universal right/left. By PediFix. 1/pkg. The Bunion Regulator Night Splint gently re-positions the big toe joint and relieves bunion pain while you sleep. Adjustable design for use while sleeping or resting only. Great for post-op splinting of your big toe following bunion surgery. Right/left specific. By PediFix. 1/pkg. Tubular Foam Toe Bandages slip on easily to cushion, separate, and protect irritated toes. 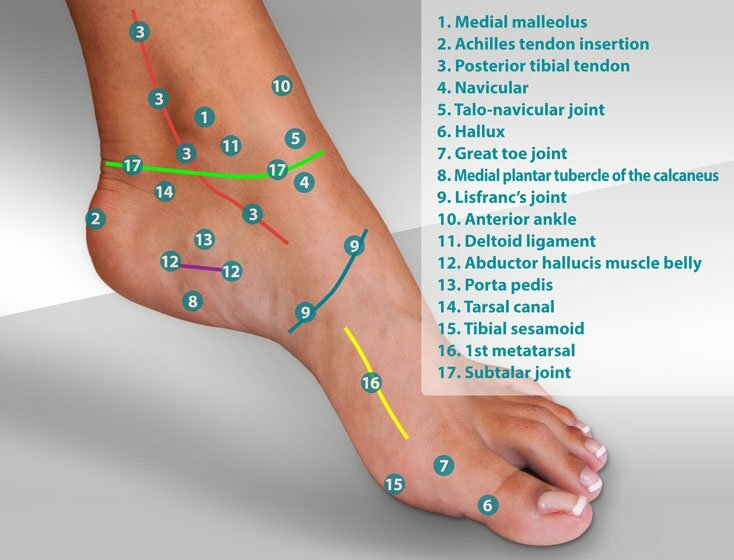 Find relief for corns, blisters, bunions, calluses, hammer toes, broken toes, and more. Trim with scissors for a custom fit. By Myfootshop.com. Universal right/left. 8 1" tubes (8/pkg), or 2 5" tubes (2/pkg). Foam Hammer Toe Crest Pads feature an adjustable elastic loop to support curled toes, ease pressure on the tips of toes, and eliminate forefoot pain. 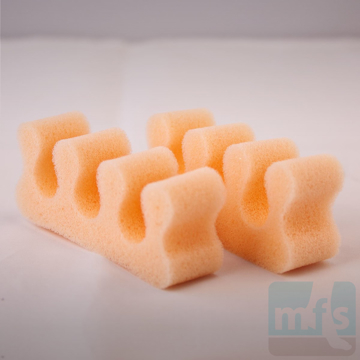 Made of soft, Latex-free felt with a foam center to cushion and correct hammer toes, mallet toes, and claw toes. By PediFix. 1/pkg. Toe Straighteners - Double Toe gently guide toes back into proper alignment. Perfect for correcting overlapping toes, crooked toes, hammer toes, claw toes, and mallet toes. Great as a splint after hammertoe surgery. Easily trimmed with scissors for a precise, comfortable fix. One size. Universal right/left. By Pedifix. 1/pkg. 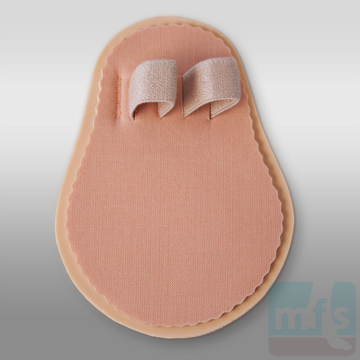 The Tailor’s Bunion Toe Spreader Combo Pad treats bunionette pain and prevents soft corns between the 4th and 5th toes. Made of comfortable, durable, medical-grade silicone gel. Universal right/left. One size fits most. By Myfootshop.com. 1/pkg. The Hammer Toe Crest Pad - Adjustable Gel treats hammer toes, claw toes, and mallet toes. Our easy-to-use, adjustable design straightens toes and relieves pressure points on the tops and tips of toes. Right/left specific. One size. By Myfootshop.com. 1/pkg.